I'll admit it. 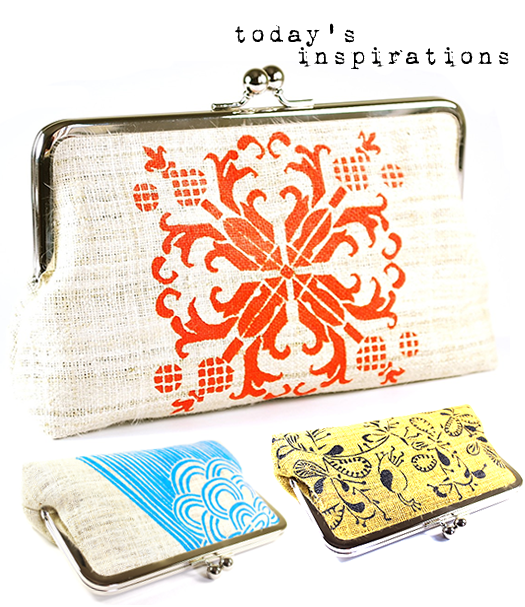 I'm kind of obsessing right now over these gorgeous hand screen-printed clutches, handmade from sustainably grown and harvested hemp fabrics by Sir Tom. 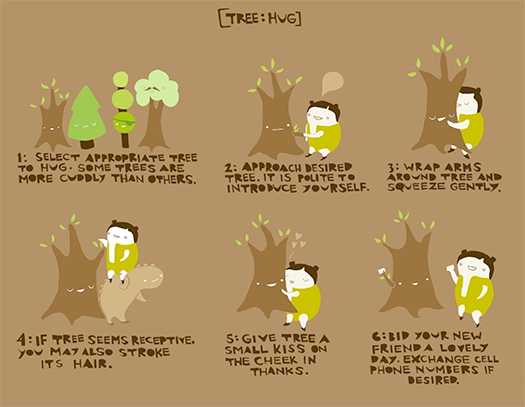 Could this 'Instructions for Tree Hugging' art print be any cuter? Seriously. 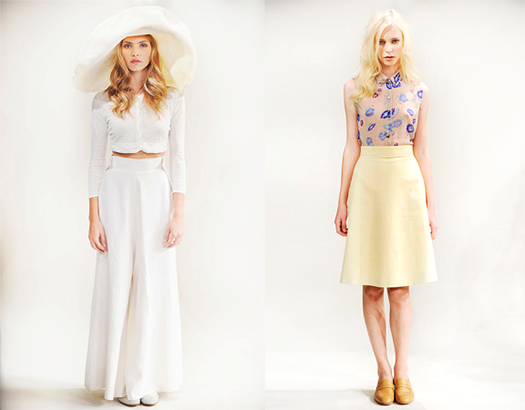 Loving these fresh, feminine looks from Organic by John Patrick. 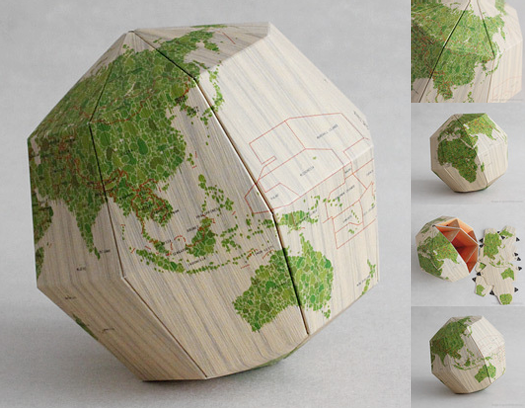 I am smitten with the lovely, clever design of these sectional paper globes by Upon A Fold. So cool. I recently pulled this book off my shelf for the first time in many years, and in all honesty, could probably devote an entire post to it. 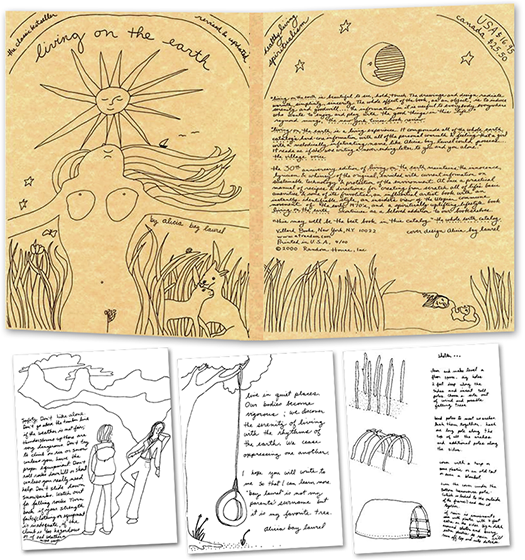 Originally written in 1971, Living On The Earth is an entirely hand-lettered guide full of beautifully simple line drawings and practical instructions on how to flee the city and live off the land. When I was a little a girl, my mother adored this book, and in 2000, I learned that a new, revised edition had just been published. I contacted the author, Alicia Bay Laurel, and to my surprise, she emailed me back. I shared my story with her - of how my mother had cherished this book and passed it on to me when I left home, but that it had somehow, sadly, been lost along the way. I expressed to her how much it meant to both of us, and proceeded to order two copies from her (one for my mom, and one for myself). When the books arrived, I saw that Laurel had signed both of them, with lovely, personal notes to each of us. My mom was in tears when I handed it to her, and it's remained one of my favorite books of all time. I've been taking my time re-reading it over the past week, and feeling incredibly inspired by it's artwork, originality, and message. Earth Day is this Friday, and I figured for this week's edition of SMD, I'd give a little shout out to this very important day via pretty, earth-inspired images. With bits of spring popping up all around me, I'm feeling very inspired by the raw beauty of the earth this morning. And with Earth Day approaching, I'm also reminded of how fragile it is. 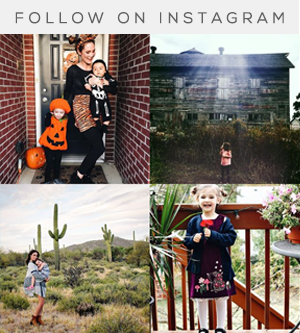 I hope the earthy radiance of the images in this post bring you some creative inspiration this weekend too! 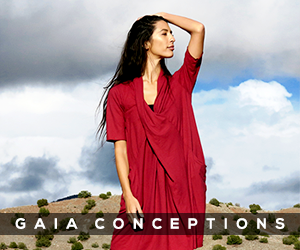 For those who don't yet know this about me, for the last ten years, I've been the head designer over at Mountains of the Moon, and eco friendly clothing label that uses only sustainable fabrics (like organic cotton and hemp blends) and eco-friendly production in our designs. You can read more about MotM's commitment to sustainability right here. 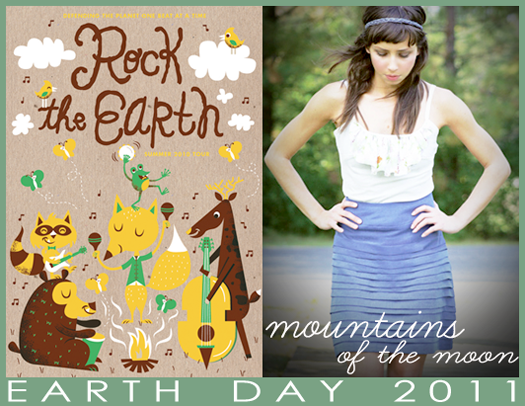 Those of you who are music fans might also like to know that starting tomorrow (4/17) through Earth Day (4/22), Mountains of the Moon will be partnering up with Rock the Earth, a national not-for-profit environmental organization dedicated to protecting and defending America's natural resources through partnerships within the music industry. 20% of all sales made on Mountains of the Moon's website during this period will be donated to Rock the Earth to help them in their efforts to "defend the planet, one beat at a time." Tomorrow is the LAST DAY to enter our latest GIVEAWAY for a chance to win a $20 Gift Certificate for yummy bath + body products! melissa girl u totally rock, the end! what a post, we should all have saturday morning daydreams this beautiful! I especially love the part about your mom and the book. Very touching, Enjoy your weekend!! And once again I will say it, this is my favorite Saturday Morning Daydreams edition! They just keep getting better :-). Those clutches are so pretty! 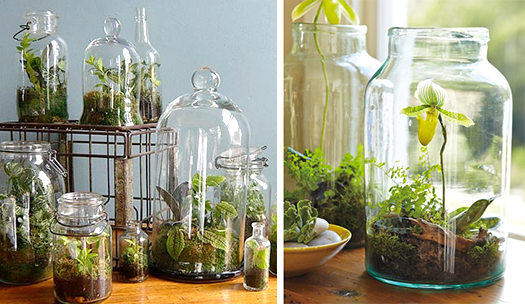 I also love the terrariums idea and love that you are partnering with Rock the Earth!!! The book is the best part though, you rock for sharing that story. I want that book!!!! What an absolutely lovely post. I want that book. Beautiful story. 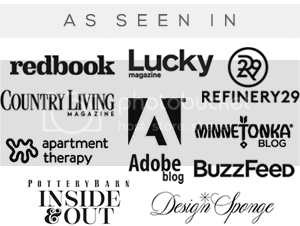 And go you on everything your company is doing for Earth Day! I too adore the Living On The Earth Book. A dear co-worker gifted me her edition many years back and I pull it off my shelf now and then to take a glance through. I had no idea she has published a new edition! That would be so fun to have! Thanks for posting about it. Happy weekend to you! Very interesting post. I love the story of the rediscovered book and your contact with the author. This is a beautiful post. I love terrariums, too! I'll make one, someday! 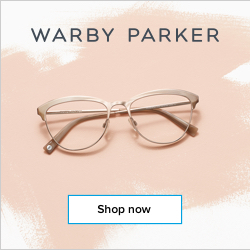 wow, just found your blog, and i absolutely adore everything that you have listed in this post! those clutches, that tree hugging instructional poster! love it all! 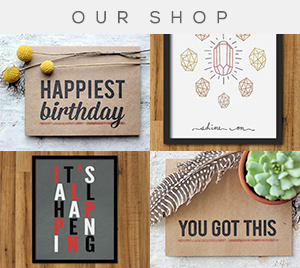 Love all these inspirations. I have got to check out "Living On The Earth." It sounds amazing. Thanks for stopping by my blog and for your lovely comment. :) It's great to hear of others who have stuck with being a vegetarian for so long! Way to go, that's awesome. How unique are the globes and the clutches are gorgeous.